It is an annual dance festival originated in my hometown, Kochi, Japan after the Second World War to encourage the town’s spiritual and economic recovery. Yosakoi united people and generated new hope. Today, 15,000 dancers from all walks of life dance for four consecutive days in the month of August. The whole town becomes a festival venue. The instructor grew up being a part of the festival. 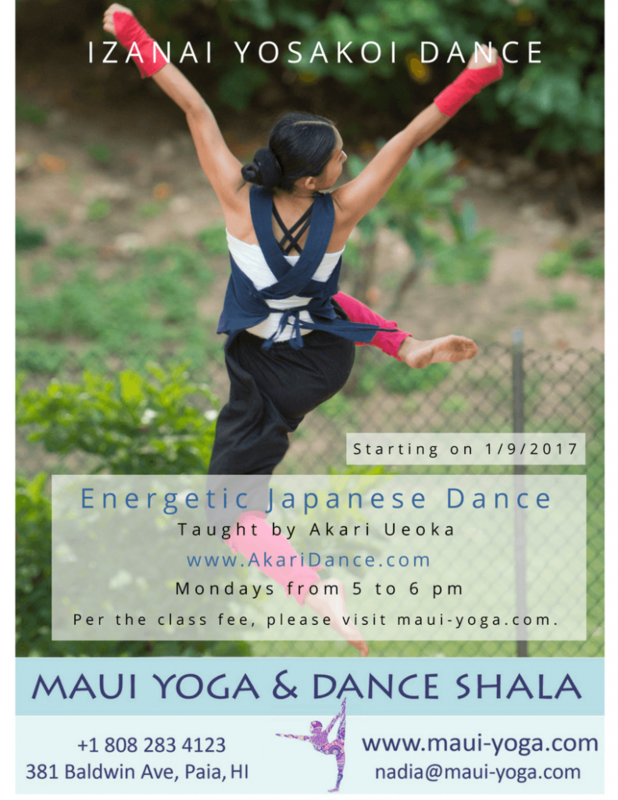 Per the class fee, please visit maui-yoga.com/rates.html. About the instructor, please visit akaridance.com/about.